The High-Speed HDMI Cable from NewerTech is a high-performance cable that's suitable for high-definition and high-resolution installations, including HDTV setups, DVD/Blu-ray players, cable and satellite boxes, and more. This cable supports both 2K and 4K resolutions, as well as Full HD and 3D content. It's also Ethernet-enabled, so you don't need an extra cable in order to access other Ethernet enabled devices. 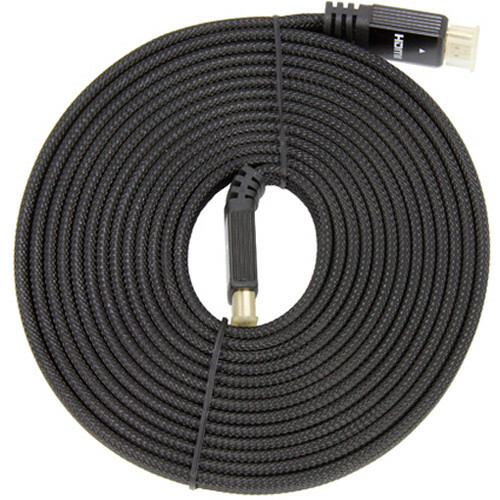 To ensure reliable connections and long lifespan, this HDMI cable features gold-plated connectors that are resistant to tarnishing and a tough-but-flexible nylon net jack. The cable is 15' long. Box Dimensions (LxWxH) 7.5 x 6.2 x 1.0"